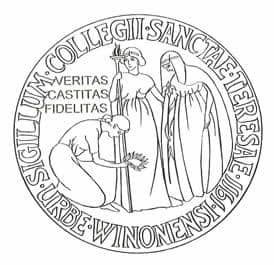 The three figures on the seal represent the three ideals of the College. Loyalty, bearing a crown, kneels before Truth and Purity. Truth, the central figure, holds a torch aloft, and Purity carries a lily.